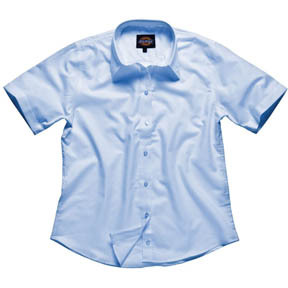 Wholesale Dickies Shirts from the well known workwear company. Made from durable material at affordable prices. We can add your logo or club crest at a very reasonable price, and offer a money back guarantee and free delivery on large orders (see website for details). Please also take a moment to check out Dickies Footwear. XXL - Chest 52-54", Collar 18-18.5"
XL - Chest 48-50", Collar 17-17.5"
S - Chest 36-38", Collar 14-14.5"
M - Chest 40-42", Collar 15-15.5"
4XL - Chest 60", Collar 20"